Have you ever wondered what the Ghetto has to do with Tarot? Have you ever felt the force of your own beliefs? 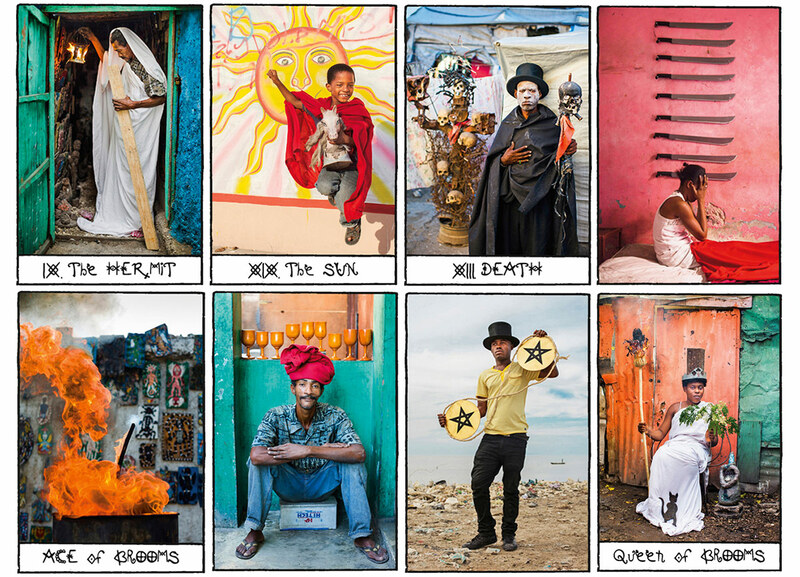 Together with the Haitian group of artists Atis Rezistans, I invite you to challenge stereotypical ideas to recreate your own reality using the power of tarot. 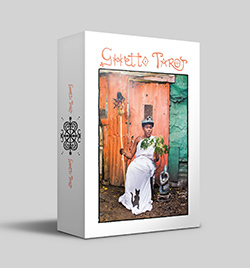 The Ghetto Tarot is a project of my heart, which combines three of my passions: photography, Haiti and tarot. It is a new artistic interpretation of the well-known traditional Rider-Waite-Smith deck. Set in the Haitian ghetto, these fresh scenes were inspired by those originally created in 1909 by the artist Pamela Colman-Smith.The photo project aims to reach beyond cultural boundaries of prejudice and ignorance to achieve a much-needed transformation of the collective conscious perception of the ghetto whilst discovering the power of our own thoughts.Therefore the Haitian slum is presented in another light and the pictures highlight the creativity and strength of its citizens.